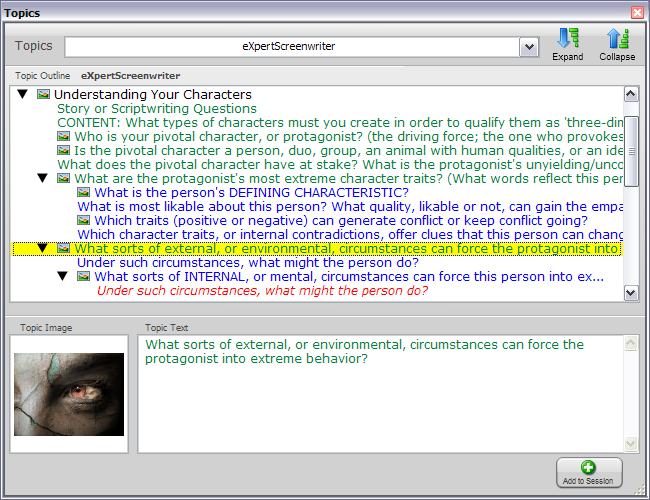 One of the most popular ThoughtOffice plugins is our Script Writing Module: Expert ScreenWriter. Because writing for TV, film and radio requires such a broad knowledge base, and the creative juices don’t always flow during 9-to-5 office hours, it’s helpful to have a tireless companion who can ask you the right questions, and then help you fill in the blanks with the perfect answers. This is what ThoughtOffice is all about: helping to expand your mind, enhance your relationships, and broaden your set of experiences. Since 1999 we’ve been cataloging associations that have inspired hundreds of thousands of writers composing stories in nearly every genre. 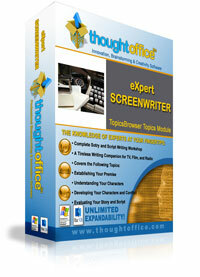 And with Expert ScreenWriter you can join the best of them and win your own Academy Award™* for best screenplay. *”Academy Award” is a registered trademark and copyrighted property of the Academy of Motion Picture Arts and Sciences.